MSPI Mama: Creamy delights and a giveaway, too! One of the rites of summer that I always enjoyed as a child was the whole family piling into our rust-orange Ford LTD station wagon and driving to the edge of our tiny town to the lone drive-in hamburger joint. But we weren’t there for hamburgers. We wanted ice cream. Looking back at those memories, I know that there wasn’t anything special about those ice cream cones, but they were cold and creamy and they hit the spot on a hot summer’s night. Plus, it was a special activity for our family to do together, and now that I’m a mom, I covet those same opportunities with my kids. But, there’s a tiny problem: MSPI. All of us going for ice cream isn’t an option when a member of the family is on a dairy-free diet! But, my friends, I got to take ALL my kids (including my MSPI girl Caroline) to an ice cream parlor last week! It was such a joy to see my little Caroline digging into a cone of her own. And this wonderful memory was made possible by a cute little shop in the heart of Omaha’s historic Dundee called eCreamery! In addition to wonderful, freshly made ice creams and gelatos, eCreamery makes MSPI-friendly sorbettos! And, holy cow, are they amazing! If you live in the Omaha area, you MUST go visit their shop. It’s located right on the corner of 50th and Underwood. It is definitely worth the trip if you live on the outskirts of town, and you will not be disappointed. Every day they offer four flavors of MSPI-friendly sorbettos that are beyond amazing. But you don’t have to live in Omaha to enjoy this fabulous product … the brilliant masterminds at eCreamery ship their tasty creations nationwide! You get to pick your own custom flavors, they mix it up right in their store, pack it up (on dry ice!) and ship it out their door. It comes to your doorstep icy cold and ready to enjoy. How awesome is that?! You can even have a custom label made. (They gave me a pint of “Andrea’s Pick Me Up” … decadent chocolate sorbetto. Yum!) You can order one of their Special Occasion Gift Packs or Create Your Own Flavor with fun mix-ins … just make sure they’re MSPI-friendly. There are so many options! You can even get cute little Individual Party Cups. Wouldn't that be ADORABLE for a first birthday party?! And I’m not the only one to have fallen in love with eCreamery. Martha Stewart, Nate Berkus and Oprah (as well as many, many others!) have raved about these delectable treats. If it’s good enough for Martha, you know it’s good enough for MSPI Mama! But here is the absolute best part about all of this … eCreamery has graciously agreed to sponsor a giveaway right here on my little blog! I am just giddy with excitement about all of this! Thank you, eCreamery! To enter the giveaway, all you have to do is leave a comment on this blog post below, telling me which of the sorbetto flavors you are most excited to try. Also, make sure you leave an email, so that I can contact you if you are the big winner! The giveaway is now closed, and a winner has been notified. Thank you! Increase your chances of winning by doing a few things. For every one you do, leave an extra comment below saying what you did. (If you already do any of these things, that counts. Just leave a comment for it.) That means you have the potential of leaving a total of five comments! Like MSPI Mama on Facebook. Subscribe to MSPI Mama blog posts either through an RSS feed or via email. Please be honest. If you leave an extra comment saying you subscribed to my blog, and then I find out you didn’t, I’ll be super sad. We want to keep it fair! This giveaway is open to US Residents ages 18 or older. The prize must be shipped to an address (no P.O. box) within the 48 contiguous states. Sorry, shipping frozen treats to international addresses isn’t going to happen! The winner will be selected via random draw and will be notified by e-mail. You have 72 hours to get back to me, otherwise a new winner will be selected. Good luck, everyone! Regardless of whether you win or not, please check out eCreamery! They are beyond amazing! The Fine Print: I received three pints of eCreamery's sorbettos for my family to try. Regardless, the thoughts and opinions expressed here are purely my own. Allergy Warning from eCreamery: Peanuts, other nuts, dairy, soy, wheat/gluten and other common allergens are used at eCreamery. Although we strive to keep these items separate, it is impossible to guarantee that your eCreamery creation will be free of these ingredients. Sorbetto Base Ingredients: Purified Water, Granulated Sugar, Dextrose, Corn Syrup Solids, Palm Oil, Modified Food Starch, Tri-Calcium Phosphate, Mono and Diglycerides, Microcrystalline Cellulose, Guar Gum, Maltodextrin, Polysorbate 80, Cellulose Gum, Carrageenan, Sodium Alginate. oh I wish I could enter! I have a us post box but live just on the Canadian side of things. looks sooooooo good though my pregnancy cravings are kicking into high gear! I am SO excited to hear about this place and will be sure to stop by sometime this summer to try it! I have 3 out of 4 kiddos not able to enjoy dairy and this might be a good idea for their birthdays! I forgot to mention I would like to eat the chocolate one you mentioned in the review but that is not an option for the winning. Oh yum!!!! I would love the coconut. Sounds delish! Sounds yummy! The coconut or the passion fruit sound great! I like you on FB and read you via email!! Thanks! Ooh, ditto on pruitt's chocolate comment!! Lol!! Welcome Sweet Baby sounds delicious! LEMON!!! With some MSPI friendly chocolate chips on top... YUM! This second time MSPI mommy is craving some of this goodness! After over a year, I just introduced dairy and soy back into my diet. I'm slowly testing my daughter - hopefully she may have outgrown it (so far so good...). I wish these were around when I craved ice cream! They all sound good but especially the coconut! This sounds like such a good treat!! I love lemon and coconut, they both sound delish! Who am I kidding they all sound good. This is my extra comment, I just started following your blog about a week ago. I am a new mom and my little girl has a milk allergy. I have learned so much from your blog in the past week, I have even tried out a few of your recipes and my family loved them! I also follow you on Pintrest and Facebook. I think the coconut or raspberry both sound great! I would love love love to try this! Most excited about the one called "2AM feeding." My son has been ice-cream deprived for so long! We'll have to definitely stop by when we're in the Omaha area. But maybe we'll win this and we can get some early tastes! Naptime Nosh! And, I liked everything on FB [Amy Dane]. I just subscribed to MSPI Mama via email! I just "liked" eCreamery on Facebook. I just subscribed to eCreamery Blog. Thanks so much for these opportunities! Oh and I like you on Facebook. And follow your blog/rss/email. Can't wait to try the coconut! I want to try the chocolate one you talked about. I would go for the raspberry ones out of the options. And I am super excited to hear about this, I might have to stop by there .. and SOON! following your blog post now. subscribed to eCreamery blog now too!! I can't wait to try mint with oreos! It sounds wonderful! They all look good. I'd probably have to go with the passion fruit or lemon though. I think the coconut sounds the best, but it's hard to know! I already "like" MSPI Mama on facebook. K, Liked you on Facebook! Been subscribed to your blog by email for a while now...love your recipes! and subbed to eCreamery's blog, too! You are so lucky you have a place like this close by!!! Since our sons have had MSPI the whole family has gone "dairy free" we would LOVE THIS!! P.S. I liked creamy delights and MSPI Mama on facebook and left a comment. I am an MSPI Mama Blog subscriber too!! :) LOVE Your site-soooo helpful!! I think the RAspberry flavor sounds delicious! THere is a local ice cream place around where I live that serves "fruit whip" which is dairy free and made with dole fruit juice. It's like a sorbet and is wonderful!! It's nice to be able to eat along side the rest of my family when we go there! I am subscrubed to your blog and "like" both MSPI MAMA and ecreamery on FB but am unable to subscribe to ecreamery's blog. It' won't let me for some reason :( But I'll keep trying! They all sound wonderful! Raspberry, yum! Because of my ice cream deprivation...I would be thrilled to try any of them!! Thanks so much for this post! Just this week along our family visited two local ice cream shops, and my son and I just watched everyone. So sad. It's nice to know that there's local options for us! 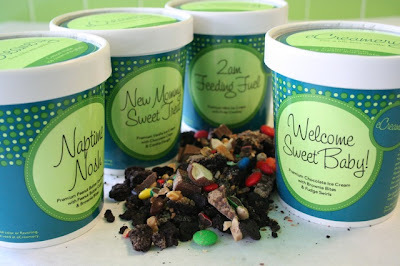 I'm so excited to try New Mommy Sweet Treat....I "like" you and Ecreamery on fB and signed up for your blog. Thanks!! Also, I get your emails for the blog. I LOVE LOVE LOVE your site and recommend it to so many Mamas. Your site alone saved me during my first MSPI baby. Thank you for all that you do!!! The “2am Feeding Fuel” - Raspberry sounds amazing! I wish we had a place that served (safe) flavors like this near us! Would love to try the lemon! I like ecreamery on fb! Subscribed ~ thanks for an excellent resource and forum!! I like ecreamery on db. I would love to try the coconut...yum!!! I am excited to try the raspberry! Sounds delish! I can't wait to try the passion fruit. Our little MSPI boy will be here in June! 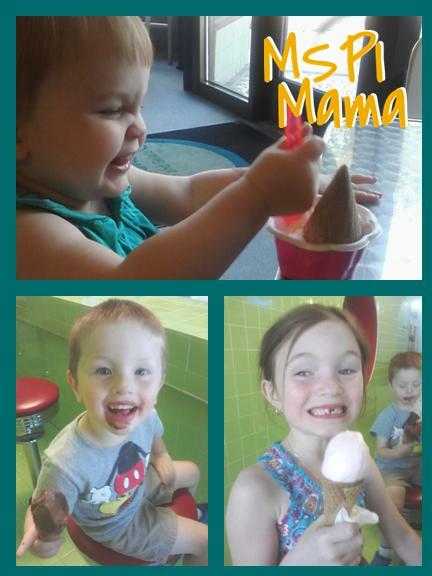 I liked ecreamery on FB! Can't wait to visit the store. I am a follower through Facebook! Hello! It really does sound so delicious! I, unfortunately am not close to the area and would love to win!! “Naptime Nosh” - Coconut sounds so yummy! Coconut is my favorite! I'm already a fan of your on facebook. I was recommended by lactation in my area when we first started having trouble with the milk soy intolerance. And I will say I still use a recipe that I had found off your site for yummy banana waffles! They are so easy to make and everyone loves them! Thank you! Your site is really a big help when you needs somewhere to turn for support! I Like you on FB! Cant wait to be able to try it! I recieve your emails! Cant wait! This is my 5 child doing the MSPI diet with...and havent had "ice cream" in about 10 months! Oh my goodness! This sounds amazing and right up my alley! Buying ice cream on a hot, sunny day is probably the thing I miss the most and it makes me so sad that my little girl hasn't been able to experience it yet. This sounds like a great idea and I wish I lived closer in person, but the delivery service sounds pretty ideal. Count me in! I'm a Facebook fan of MSPI Mama! I just became a FB fan of eCreamery too! I also subscribe to your blog...mmmm, coconut! Now I'm hungry! Please don't count this as an entry, but I'm not sure if writing the comment under my google ID gave you my email address. The above entries from me go with this email address: larissakb@gmail.com. Sorry! Mmmmm! I would be most excited for the chOcolate as I haven't had chOcolate anything since starting the elimination diet for my daughter quinoa BF. but of the 4 listed the coconut sounds dreamy!! I would love to try all the flavors, but Naptime Nosh has intrigued me!! I like MSPI Mama on Facebook. BTW, thank you so much for your wonderful recipes. They have helped a great deal. This is kid #5 and the first with food intolerances. I like ecreamery on facebook. I subscribe to MSPI Mama by email. Ooo... Naptime Nosh sounds delicious! I am a fan of MSPI Mama on Facebook and I also subscribe to MSPI Mama blog. You were a blessing when my 4th child was born... 1st one with MSPI. My email is techiegirly@gmail.com. I am very excited to try the passion fruit sobetto or the chocolate one. All the flavors sound wonderful, but I'd love to try the raspberry! I recieve blog via email! I liked ecreamery on facebook. I liked MSPI Mama on facebook! “Naptime Nosh” - Coconut sounds delicious! I wish it was close to home and I would be able to get some! I would love to win the giveaway!!! I already was a fan of yours on facebook- subscribing to blog! I was referred to you by lactation. I spoke to them after I was having so many issues with my "cranky" baby and by the symptoms we came to the conclusion it was MSPI- she also has reflux with the intolerance. It's been a long road! And your site was a place to turn to for support! And recipes! I still use the banana waffle recipe I got from your blog. Its a favorite in my house!